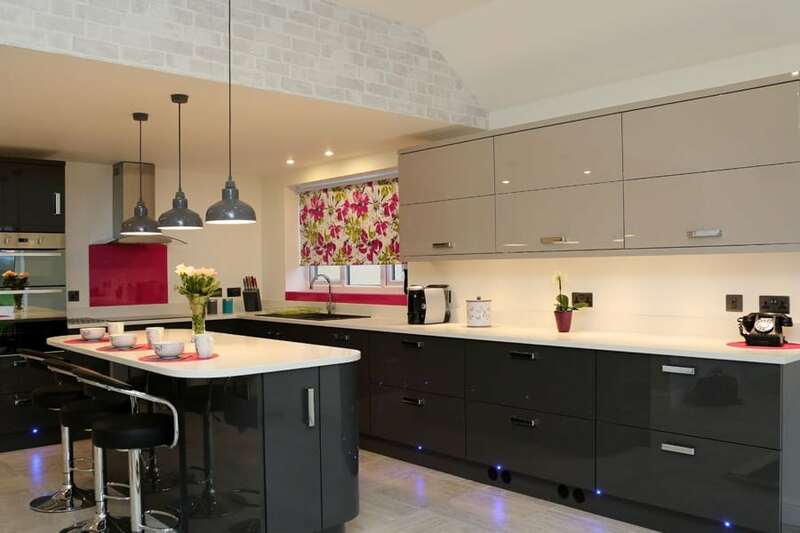 Having just installed a brand new ultra modern kitchen, our client wanted something that would stand out and add a wow factor. The kitchen blinds had been picked so we were able to match the pink on the Splashback & Window Sill. The result? A stunning kitchen with a couple unique show piece features.